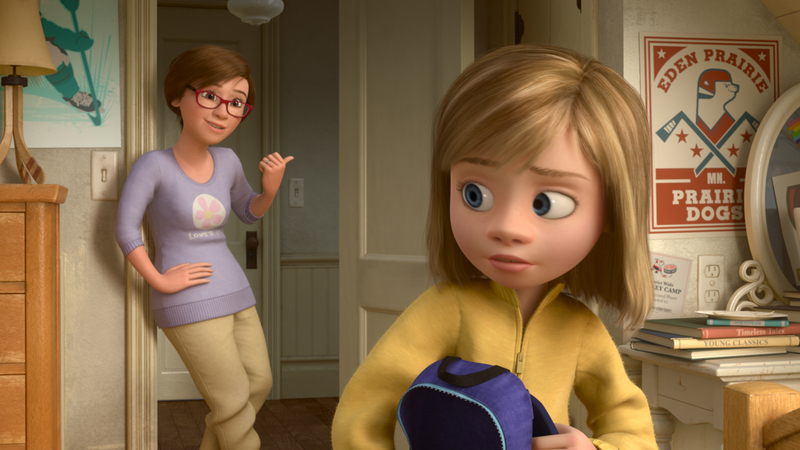 Inside the BluRay/DVD of Inside Out – Riley’s First Date? If the Inside Out BluRay release had only come with the added features, it still would be worth the money, but thankfully they included the movie, too. Disney/Pixar’s Inside Out is one of the most popular movies of the year (3rd highest grossing movie in the US and 5th in the world), and with all the added features on the home release, it’s popularity is sure to increase. Along with a brand new short film, Riley’s First Date?, there is also the Pixar short LAVA, “deleted” scenes, commentary by the directors and producer, a great short profiling the Paths to Pixar: The Women of Inside Out, an interesting feature on The Misunderstood Art of Film Editing, a really fun collection of clips called Mind Candy, and even more! Despite the title, Riley’s First Date? was more about Riley’s parents than Riley herself. It gave us another look at the inner workings of the mind but this time it focused mostly on the emotions inside her mom and dad, although don’t worry we still get to see all of our favorite Riley emotions too. It was really cute and sweet as we see mom trying to “be cool” and dad trying to intimidate Riley’s “friend” (who makes a couple of appearances in the movie also so keep a lookout for him). Don’t want to give away too much, but it’s a really cute extension of the movie. Tip: When the credits roll, wait for the end. Like other Disney movies, there’s a little bit more waiting for you. The “deleted” scenes were actually animated storyboards, illustrations, and rough sketches featuring alternate scenes in the movie. It was fascinating to see which way the movie might have gone. For instance, Joy’s buddy in the film wasn’t always Sadness. At one time it was “Freddie” (what they called Fear at the time). And they used to use the microphone on the dashboard at headquaters to relay messages to Riley. Joy was a little bit more mean-spirited and Bing Bong was quite a bit different from the happy-go-lucky character we see in the final edit. Each scene features an introduction by Pete Docter to fill you in on the details before being shown. And I loved Mind Candy. According to the press release, it’s a “montage of toolkit and interstitials produced” for the movie. While I can’t really tell you what that means, I can tell you that this feature is comprised of tiny vignettes often featuring something funny or cute about the characters. Some you can find online like “5 Second Rule,” but most of them are original little ditties that will make you smile (and sometimes plain laugh out loud). No question! 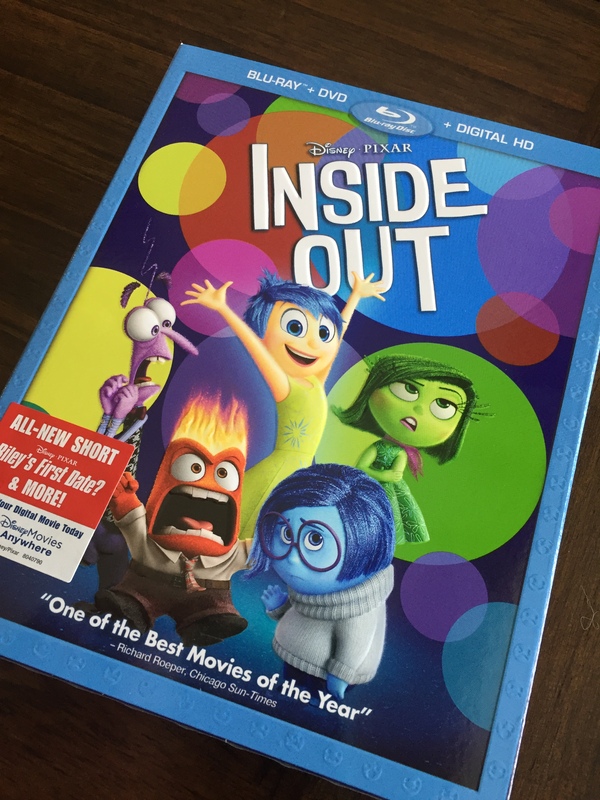 If you loved Inside Out, the BluRay/DVD release will make you love it even more. With so many bonus features and added material along with the new short Riley’s First Date? you’ll be missing out if you don’t own it. Thanks to the folks at Disney for the opportunity to review the BluRay release early so I could share it with all of you. November 3, 2015 February 1, 2016 Craig YBluRay DVD review, deleted scenes, Inside Out, Riley's First Date? If I’m not mistaken it’s on the first disc with the movie on the BluRay disc. I remember thinking it might be on the 2nd disc since many special features are on there, but it wasn’t.